Bob Dorough, Watermill Jazz Club, Dorking, Surrey, March 21, 2017. A musician whose songs helped teach children on ABC's "Schoolhouse Rock" has died. 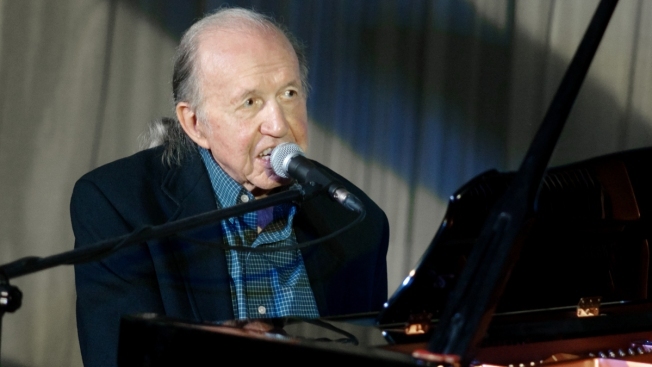 His son, Chris, says 94-year-old Bob Dorough died of natural causes Monday at his home in Mount Bethel, Pennsylvania. According to his biography, the jazz musician "set the multiplication tables to music" as musical director for the educational cartoon series between 1973 and 1985. Millions of Americans know the words and melody to "I’m Just a Bill" – a song about how a bill became a law. Dorough was responsible for "Three Is a Magic Number" and the train yard favorite "Conjunction Junction" celebrating prepositions. The series was revived from 1993 to 1999. He also wrote the song "Devil May Care," which jazz great Miles Davis recorded as an instrumental version. Dorough was born in Arkansas and raised in Texas. He headed to New York City after graduating from the University of North Texas in 1949. He eventually settled in Pennsylvania.